DEALT a tough draw to open season 2018, Sandringham Dragons were 1-2 after going down to both of the eventual grand finalists in their first three games. Come the end of the regular season, the Dragons were unlucky to have just missed out on a grand final berth as they built some serious momentum and finished in third at 7-2. Girls Head Coach, Tamara Hyett said her side was unfortunate not to meet those teams with some form under its belt, but built into the season well and marks it as a success given the immense personal development shown by individual players. 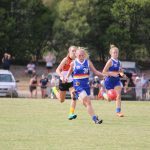 The respective journeys of the Dragons’ two eventual draftees serve as evidence of that individual improvement, as both Eleanor Brown and Abbie McKay now boast AFL Women’s experience. 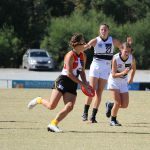 Brown grew on and off the field throughout the year and made the wing her own on the back of pure dedication – something Hyett says the Dragons staff were deeply impressed by. “Eleanor had a stand-out year on the wing and every game she just grew in confidence – from someone who was quite reserved and shy, to then becoming quite vocal, backing herself going for marks and things like that was great to see and I think she’s someone that we probably had to hold back a bit because she wanted to work and wanted it so bad that she was doing probably too much with extra sessions and things like that. But it was just rewards for the effort and improvement that she showed across the year,” she said. 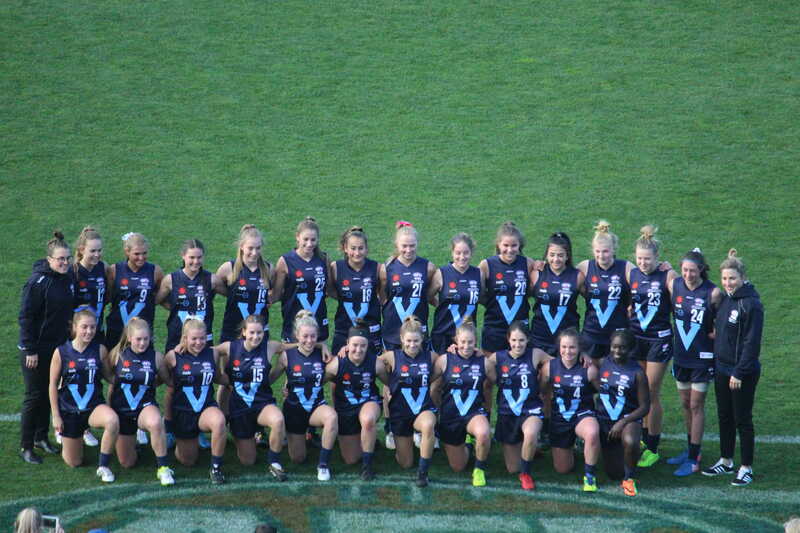 A more natural footballer with the pedigree to suggest so, McKay has gone on to become the AFLW’s first ever father-daughter draftee, as well as the first father-daughter pick to grace the field as she ran out for Carlton in Round 4. Given talent aside, Hyett said McKay showed great determination to improve once she realised how far she could go. 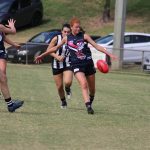 “(Abbie) is a natural footballer so if she wanted to get drafted, she’d get drafted, and she did. I think she realised how good she could be, especially playing for Victoria at the championships – she’s just a natural footballer. 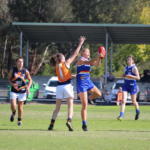 A pretty driven girl internally, doesn’t show much externally but internally she’s pretty driven and we saw on the weekend that she made a seamless transition really into AFLW so that’s a credit to her and her ability to want to improve and want to be out there,” she said. 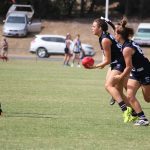 In a team sense, Hyett is not looking to change much heading into the new season – sighting fundamental skills as a key area for fast-tracking the development of each player, while also giving them the freedom to express themselves on-field. 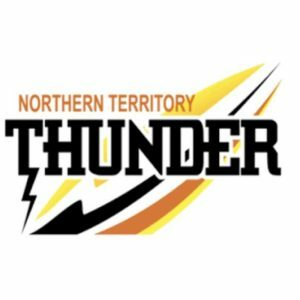 Should the new top four finals structure have been in place last year, the Dragons may have been better poised to challenge Geelong and Northern than they were earlier in the season, but they are set to face a similar fate as a clash with the reigning premiers awaits in Round 1. Hyett is not fazed by the challenge though, with promising players coming on across each age group set to put them in good stead for the early-season bout. “I think it’s the best thing (playing Geelong), you want to see where you’re at early in the season and playing the defending champions is an ideal first round match-up for us and it’ll be a good gauge. Hopefully the work we’ve done in the off-season and from last year has been good and you never know but success is not really measured in wins and losses but I think a lot of our girls have grown and hopefully that’ll show up on Sunday,” she said. 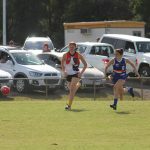 Leading the pack are three outstanding top-age talents, with a raft of middle-agers also set to poise Sandringham as one of the competition’s stronger sides. A solid pre-season has built on the already admirable fitness base of those leaders, with each Dragon looking to keep standards at a relative high. “I think the pleasing thing was that the girls that are backing up from last year have, as of day one of pre-season, come back improved physically – fitness-wise and also the fundamentals skill-wise,” she said. “Then we’ve got a really good balance of new young players as well as some top-age players who have come in so I think it’s a really balanced squad and hopefully we can all gel together and go really well. Skipper Molly Denahy Maloney is one who sets the tone for her teammates in training and on matchday. Fellow top-agers, Margie Purcell and Sophie Rothfield are also coming on strong, impressing Hyett with their mix of grit and class while taking their games to the next level. “Someone like Margie was pretty raw last year – started half-forward and ended up rotating on a wing,” she said. “Her game’s gone to the next level, her skills, her outside run and she’s really tough. A raft of middle-age talent is also something Hyett is excited by, with a range of players filling out the core of the team and looking to make a real impact. Sarah Hartwig is also one who has impressed, holding down a spot in the side as a 16-year-old last year. Hyett said her continual progress has been impressive in the back half, epitomising the overall squad growth shown in the skill stakes. With a practice match win over the Knights to build on, Sandringham looks a contender once again and may well be a side to benefit from the new finals structure with a host of talent across the field set to hold them in good stead for 2019.